Priyank Sharma and Luv Tyagi have been two of the major supporters of television actress Hina Khan on Bigg Boss 11. Bigg Boss 11 has witnessed several friendships coming to an end on national television. And while the fight to survive on the popular reality show is getting intense, it seems another friendship is likely to end on the popular reality show. We are talking about close friends Priyank Sharma and Luv Tyagi. According to the media reports, the two men got into a verbal spat during the recent captaincy. Reportedly, Priyank was miffed with Luv for not keeping him as a priority during the captaincy task. 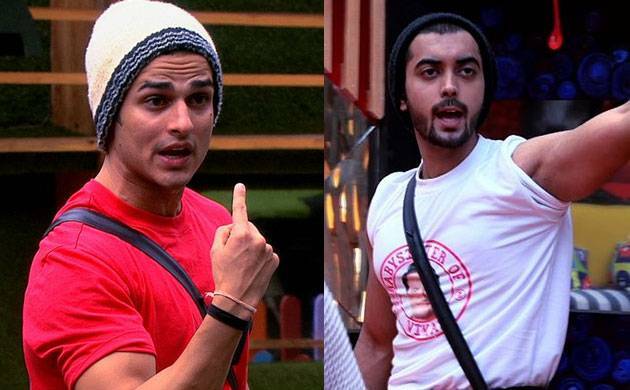 Although Luv did try to explain his situation to Priyank, the latter is in no mood to listen to any explanation. In fact, a video of their verbal squabble has gone viral on social media, where Priyank is seen venting out his anger on Luv and even ends up abusing him in front of Hina Khan. He even tells Luv that the two are not friends anymore and that Tyagi should rather maintain distance from him. Apparently, Hina Khan did try to calm Priyank and Luv but her attempts seem to have gone in vain. Notably, given the negative image Hina has created against herself lately on Bigg Boss 11, she was only left with two friends in the house - Luv, and Priyank. And now with the two men locking the horns, it is indeed going to be a tough situation for Hina Khan.